Once Steve and his boys entered the Bridge Communities transitional housing program, they still had one major problem to overcome. It wasn’t budgeting. It wasn’t housing. It was their car. It leaked oil, had broken down twice in the past month, and Steve could never be sure if it would start in the morning. A car can make or break a Bridge family’s financial situation. Without reliable transportation, Steve can’t get to work every day and provide for his kids. 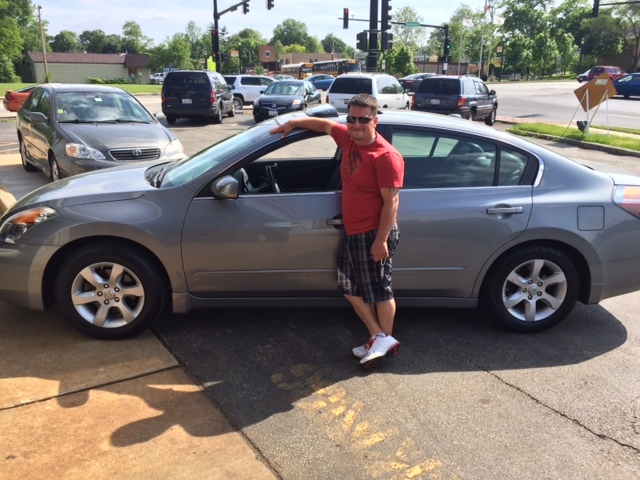 Fortunately, a generous friend of Bridge donated a Nissan Altima. This car not only gave Steve a reliable way to get to work and take his kids to school–it meant that his family stayed on the road to self-sufficiency. You can help secure the success of a family like Steve’s by donating your car to Bridge Communities. When you donate a car to Bridge Communities, you make a major difference in the lives of a family on the road to self-sufficiency. Plus, your car donation may be eligible for a full tax deduction of the used car value! If you’d like to avoid the hassle of selling your used car, and also help a Bridge family in a major way, please contact me, Paul Matthews, at (630)-545-0610 ext.33 or paul.matthews@bridgecommunities.org. Can we count on you to donate your used car to Bridge Communities and help another family in need?